Lille’s sporting director Luis Campos believes that Cristiano Ronaldo will take some time to get over the recent allegation of tax fraud from the Spanish authorities. The Real Madrid superstar is due to assess his future once he returns from Confederations Cup duty with Portugal. There’s no denying that Cristiano Ronaldo’s Real Madrid future has been uncertain throughout the close season. Reports last month claimed the 32-year-old Portuguese ace was ready to quit the Bernabeu, citing a lack of support from his club for tax evasion allegations lodged against him by Spanish authorities. It was alleged that Ronaldo owes £13m in tax from image rights income, but he has continued to refute these claims both privately and publicly. 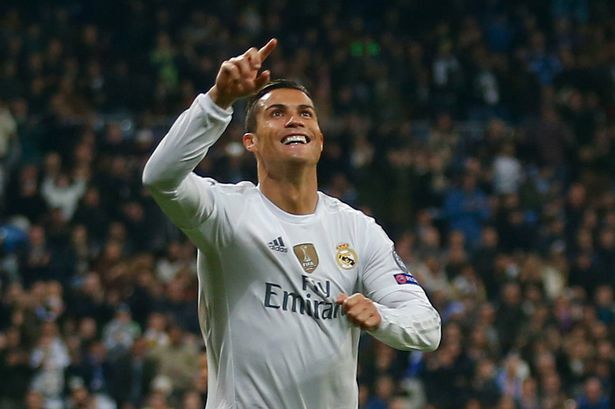 This saga has led to a number of top European clubs being linked with Ronaldo’s signature. A return to his former employers, Manchester United, has been mooted, along with a switch to French giants Paris Saint-Germain. They have shaped up so well for the past decade that a lot of people now agree that they might be the greatest footballers of all time even better than Pele and Diego Maradona. Sometimes it feels like it isn’t fair for both of them to exist at the sametime. On a second thought though and you will hear your inner voice suggesting that maybe having each other around, pushing to outdo one another is the sole reason they’ve been able to make all prior legendary records documented by the patient hands of history look like a whiff. The 32 year old Portuguese star of Real Madrid, Cristiano Ronaldo recently helped the Spanish club in lifting their 12th UEFA Champions League title after having defeated Juventus with a convincing scoreboard of 4-1. Cristiano Ronaldo was the top goal-scorer of the European tournament as he scored 12 goals while also being able to appear in the list of top assisters with 6 assists, only Barcelona´s Neymar provided more assists to his teammates with 8. Real Madrid star Cristiano Ronaldo has scored more goals that the whole of Atletico Madrid. The Portuguese player grabbed yet another hat trick as Madrid defeated their city rivals 3-0 on Tuesday in the first leg of the Champions League semi-final. The victory puts Madrid firmly ahead to make the final against either of Juventus or Monaco – their third final in four years. 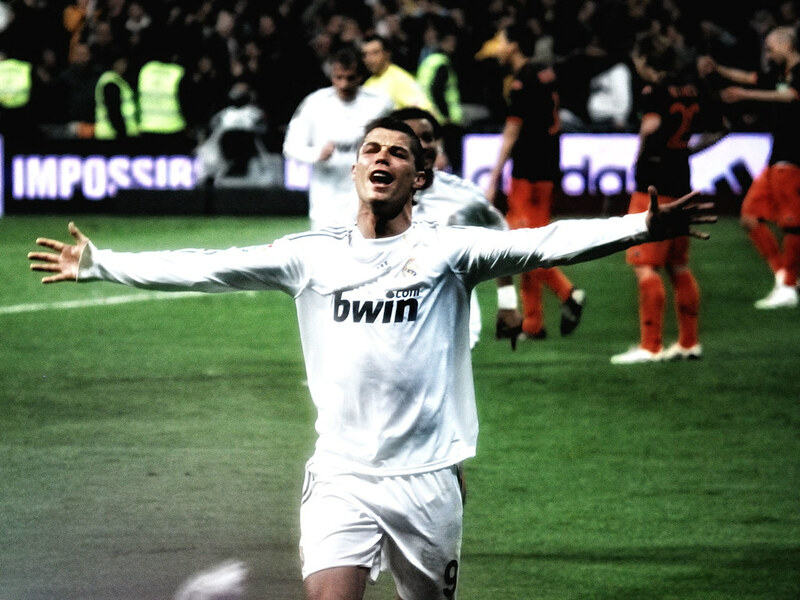 Real Madrid were dominant in the game played at Santiago Bernabeu. Their dominance earned them a goal in the first ten minutes as Ronaldo connected with Casemiro’s cross. They continued to press but failed to quickly add another. Cristiano Ronaldo has risked the wrath of Bayern Munich supporters by asking star striker Robert Lewandowski to join him at the Santiago Bernabeu. Lewandowski is regarded as one of the best strikers in the world. His presence at Bayern Munich has helped the club overcome the disappointing form of Thomas Müller this season. Lewandowski rescue once again proved his worth by scoring one of the goals in the 4-2 defeat for Bayern in the second leg of the Champions League quarter-final meeting between the two teams. 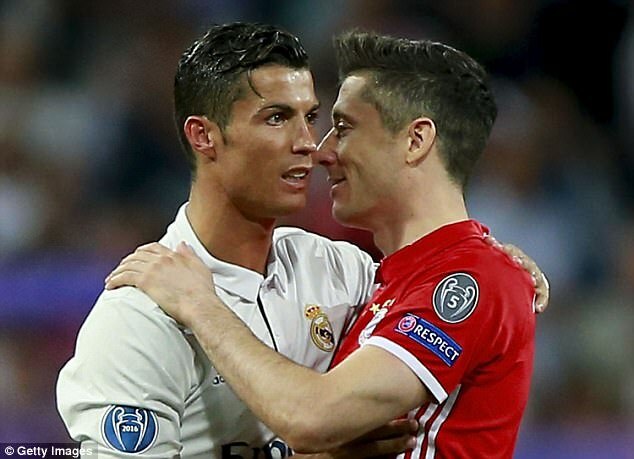 After the end of the game, it has been reported that Ronaldo and Sergio Ramos tried to persuade Lewandowski to consider a move to Madrid in the summer. Real Madrid once again failed to keep a clean sheet in a game, as Napoli managed to score in the first half of a recent meeting between the two teams in the Champions League. The Italian team came into the match with belief that they could capitalise on Real Madrid’s poor defensive record in the last few months. Madrid have kept only two clean sheets in last 14 games, and this has contributed to the team dropping points against lesser opposition like Las Palmas. As a result, they have slipped to 2nd place in the La Liga. Even after getting a 3-1 win over Napoli in the first leg, there were reasons to be concerned ahead of the match. Cristiano Ronaldo may be 32 years of age, but the Real Madrid star is going as strong as ever. The Portugal international recently became the first player to score 100 European goals and should hit the 25-goal mark in La Liga this season. Winning the league and the Champions League is very much possible for Ronaldo, who was instrumental in Portugal's clinching of the European Championship in France in the summer of 2016. The former Manchester United star is one of the greatest footballers of all time, and there are still a few more years left in him. 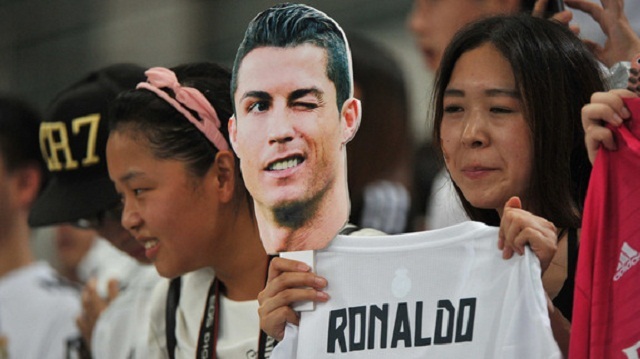 Real Madrid soccer superstar Cristiano Ronaldo has been reported as the most influential footballer online in the Far East. The 32-year old Portugal international beat his club-mate Gareth Bale, England and Manchester United skipper Wayne Rooney and others to the sport, CNN reports. Real Madrid manager Zinedine Zidane has dismissed concerns that star striker Cristiano Ronaldo was getting anxious in the 2-0 win over Espanyol during the weekend. Ronaldo failed to score in the game as Alvaro Morata and Gareth Bale came up with the goals in either half to secure a fourth consecutive league victory for the table leaders. Reigning Ballon d’Or holder Ronaldo was least happy with the result given that he failed to score in yet another league match. This has been a difficult campaign for the 32-year-old Portuguese star, who continues to trail Lionel Messi and Luis Suarez in the La Liga goalscoring charts.